Libyan J Med. 2014 Sep 19;9:25431. doi: 10.3402/ljm.v9.25431. eCollection 2014. Lemon grass (Cymbopogon citratus) essential oil as a potent anti-inflammatory and antifungal drugs. Boukhatem MN1, Ferhat MA2, Kameli A3, Saidi F4, Kebir HT4. Volatile oils obtained from lemon grass [Cymbopogon citratus (DC.) Stapf, Poaceae family] are used in traditional medicine as remedies for the treatment of various diseases. 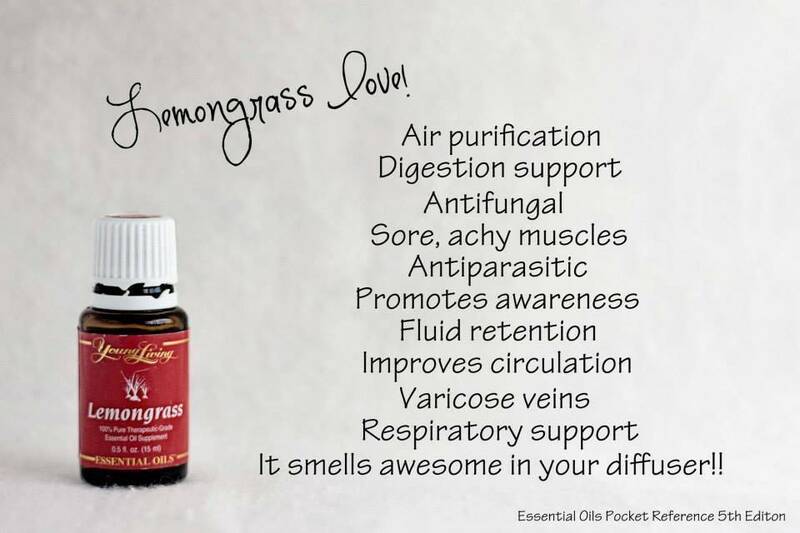 In the present study, lemon grass essential oil (LGEO) was evaluated for its in vivo topical and oral anti-inflammatory effects, and for its in vitro antifungal activity using both liquid and vapor phases. The chemical profile of LGEO as determined by gas chromatography-mass spectrometry analysis revealed two major components: geranial (42.2%), and neral (31.5%). The antifungal activity of LGEO was evaluated against several pathogenic yeasts and filamentous fungi using disc diffusion and vapor diffusion methods. LGEO exhibited promising antifungal effect against Candida albicans, C. tropicalis, and Aspergillus niger, with different inhibition zone diameters (IZDs) (35-90 mm). IZD increased with increasing oil volume. Significantly, higher anti-Candida activity was observed in the vapor phase. For the evaluation of the anti-inflammatory effect, LGEO (10 mg/kg, administered orally) significantly reduced carrageenan-induced paw edema with a similar effect to that observed for oral diclofenac (50 mg/kg), which was used as the positive control. Oral administration of LGEO showed dose-dependent anti-inflammatory activity. In addition, topical application of LGEO in vivo resulted in a potent anti-inflammatory effect, as demonstrated by using the mouse model of croton oil-induced ear edema. To our knowledge, this is the first such report to be published. The topical application of LGEO at doses of 5 and 10 µL/ear significantly reduced acute ear edema induced by croton oil in 62.5 and 75% of the mice, respectively. In addition, histological analysis clearly confirmed that LGEO inhibits the skin inflammatory response in animal models. RESULTS of the present study indicate that LGEO has a noteworthy potential for the development of drugs for the treatment of fungal infections and skin inflammation that should be explored in future studies. Essential oils are truly amazing! We use them for supporting our immune system, managing migraines, hormone support, overall health and wellness, skin care and beauty regimen, household cleaning, repelling pests, and even use essential oils with our two adorable young cats. In 1989, Michele began her exploration of essential oils and herbal medicine. A lot has changed over the years with essential oils in their quality and effectiveness!! She teaches classes all over the world on aromatherapy and DIY instructionals. She actively works with her wonderful husband, Bert Vargas, MD, in the use of essential oils for alternative treatments of migraine. She is an Executive Board Member of AHMA (American Headache & Migraine Association) and has been asked to be a guest writer for HealthCentral.com. Dr. Bert B Vargas is a Board Certified Headache Neurologist and the Director of the Sports Neurology and Concussion Program at University of Texas Southwestern (Dallas). He is on the Board of Directors of the American Headache Society and the Headache Cooperative of the Pacific. His clinical and research interests include concussion, chronic migraine, post-traumatic headache, and telemedicine. For more information on Dr. Vargas, please visit BertVargas.com. CLICK "EVENTS" TO ATTEND A CLASS! CLICK "BLOG" TO REVIEW RESEARCH ON ESSENTIAL OILS! Michele has researched and tried numerous brands since 1989 and found Young Living to be the highest, strongest, purest, and most consistent quality of essential oils out there. Everything from land and seed selection, owning their own farms worldwide, to hand weeding, to essential oil used as pest control, to peak harvest times and methods, (and more), sets Young Living's superior standards and controls apart from all others. Numerous hospitals in the U.S. use and rely on the Young Living brand. (Including St John Hospital & Medical Center in Detroit who used calming lavender on Michele's Grandfather prior to his severe cardiac surgery and ginger after surgery to reduce his nausea.) Young Living essential oils are FDA approved safe for ingestion and their bottles are labeled for internal use. I look forward to teaching you how to reduce your exposure to toxins and hormone disrupting chemicals in nearly everything your family uses on a daily basis. Share with us how essential oils have helped you experience a healthier life! Copyrights © 2019 held by respective copyright holders, which include but may not be limited to GetOiling.com and Michele Vargas, International Aromatherapist & Bert Vargas, MD, Neurologist.